No need to go to gym or to buy dumbbells to workout in home,You can workout in your home itself without any requirements just a free place to do, to keep yourself fit and healthy. Daily one hour per day is enough for these workout. 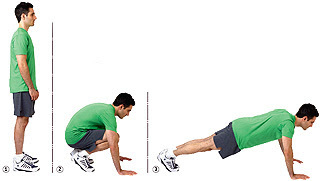 But to burn more calories and to reduce fat, do these workout without any rest. 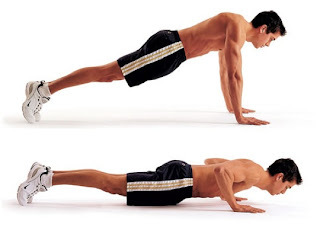 Maximum gap between these workout can be 30-60 sec max . The above fitness workout are prescribed by Amy Dixon, fitness trainer, Livestrong article.